Off-Day Activity Hanging with my special needs sister. She makes me so HAPPY! I never learned to ride a bike as a kid. In fact, I never had my own bike. My time on a bicycle was spent after taking my brother's bike just to make him mad. I fell off his bike so much, but eventually learned to stay upright, although I was very very wobbly. In December 2009, I had an abdominal surgery and developed double pneumonia. I was so sick and couldn't breathe! I made all sorts of promises to God if she just allowed me to feel better. One promise was that if she just helped me to breathe, I would learn to swim and become a triathlete! 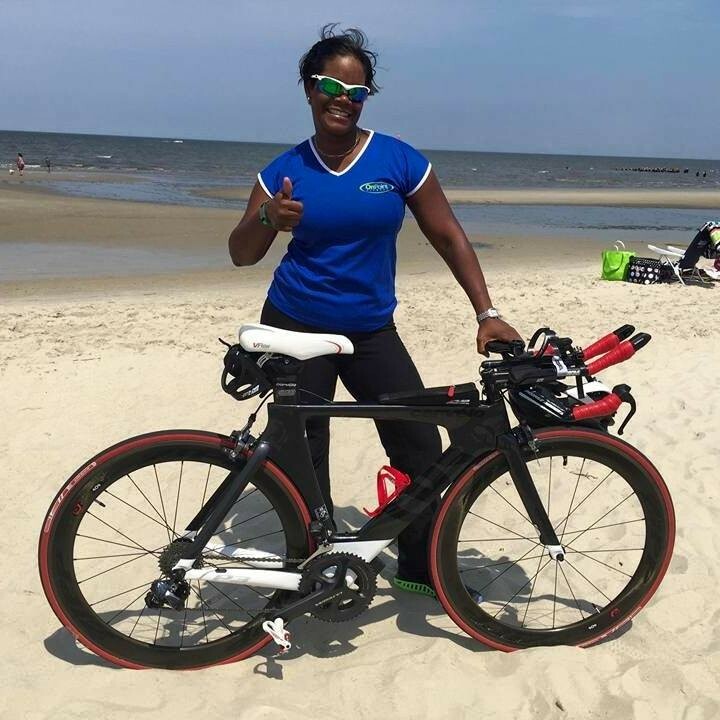 I signed up for swim lessons, purchased a bike and completed my first triathlon 6 months later. I was hooked. Unfortunately, I was on my bike training for my first Ironman competition in 2014 and was doored by a parked driver as I rode down a hill. I ended up with 12 staples in my scalp and a banged up bike. When I purchased a replacement bike, I got a Stages Power meter. I still have not used my power meter to it's fullest capacity, and if I am honest, don't really understand the best way to use it. It would be an honor and blessing to join this team and be a brand ambassador for a company that has a reputation of having some of the best cycling technology on the market!